Kuala Lumpur, October 2014 - Jazzy Group is proud to present you another sensational Korean pop showcase in Malaysia! 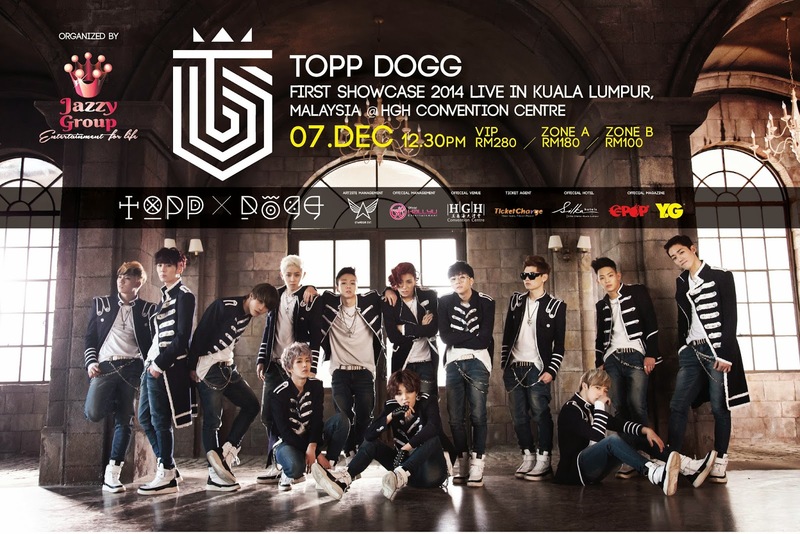 TOPP DOGG First Showcase 2014 Live in Kuala Lumpur, Malaysia 2014” will be held at HGH Convention Center, Kuala Lumpur on 7th of December 2014! Topp Dogg was formed by Stardom Entertainment in 2013. Consisting of Jenissi, P-Goon, Seogoong, Gohn, Hojoon, Kidoh, Sangdo, Nakta, Hansol, B-Joo, Xero, A-Tom and Yano, the group is one of the least Korean pop group which consist 13 members in a group. Known for their powerful dance routine and charismatic on-stage performance, Topp Dogg is arguably one of the prominent rising Kpop stars in recently. It is Topp Dogg’s first showcase ever in Malaysia. 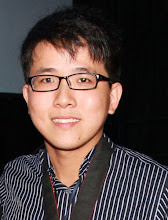 Recently, they have had a successful showcase in their native country last year. First 200 lucky fans who have purchased VIP Zone tickets, will also entitle to attend an exclusive fansigning session with the boys! This would be an event in which ToppKlass would never want to miss. Tickets has been on sale from 13th of October, 2014 onwards. Tickets are available at TicketCharge www.ticketcharge.com.my.